At Carmichael Lynch Relate, we build enduring relationships between people and brands by executing what we call “Unfair Ideas,” ideas that fall well within the bounds of legal and ethical guidelines, but fundamentally shift the playing field and reorder client categories. Unfair Ideas let us do more with less. They’re contagious. They get talked about. Wherever we tell a brand’s story — whether in paid, earned, shared or owned media — Carmichael Lynch Relate creates highly original work that gives consumers new ways to understand, embrace and experience your brand. Our services include the right combination of critical, long-standing public relations services such as earned media relations, corporate communications, public affairs, brand journalism, reputation management, community and employee relations, leadership enhancement, crisis management as well as content creation, social channel strategy, influencer marketing, paid media, and digital and social engagement. As a midsize public relations agency, Carmichael Lynch Relate has deep enough resources to provide best-in-class research, insights and service, but is also small enough to remain nimble and highly responsive to client needs. After several consecutive years of outstanding work for our clients and exponential growth, the agency was recognized as 2017‘s Midsize Agency of the Year by PRWeek, as well as Small Agency of the Year by the Holmes Report. 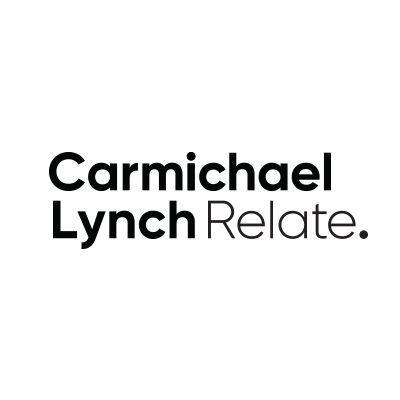 Carmichael Lynch Relate is a stand-alone agency that celebrates our adjacency to advertising powerhouse Carmichael Lynch. Our two agencies can snap together to provide a fully-integrated solution as needed. This collaboration offers clients a holistic, cross-discipline perspective on their businesses, taking into account paid, owned and earned strategies to deliver maximum results.